RipTide is designed for networking group leaders and members. Here’s how it helps both. 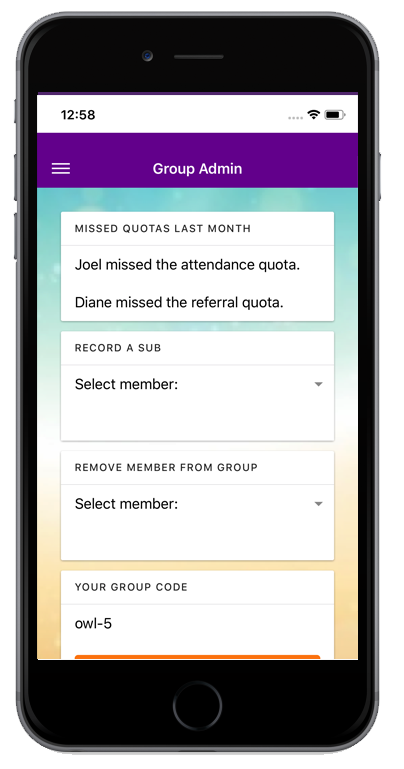 Enter group details, like when you meet, and set any group quotas such as attendance or referral minimums. 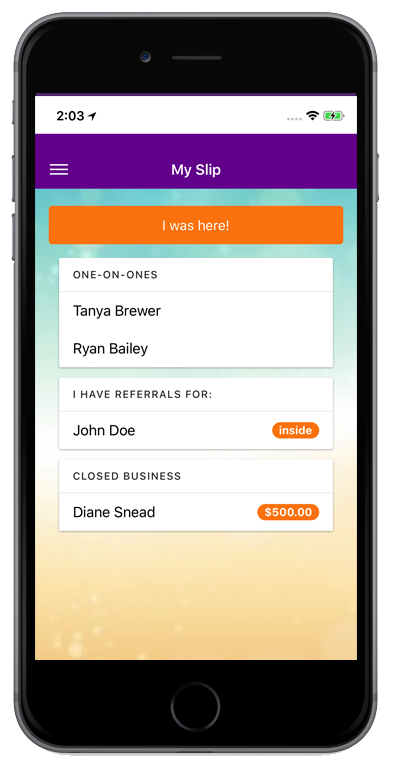 Have your members download the app and enter your group’s unique access code. Everyone enters their weekly activity. View an electronic version of your Slip during your meetings. Get the data you need to run a powerhouse networking group. Be notified when members fall behind on your quotas. Everything you did with paper you can do with the app. Get insights on how many weekly meetings and referrals you need to meet your goals – Coming Soon! Dynamically set goals based on how well you network and desired revenues – Coming Soon!